hd00:45Male surgeon and female assistant during an operation. Assitant putting instruments on a table. Modern equipment. 4k00:12Team of ophtalmology surgeons and assistants with ophtalomological surgery tools during surgical treatment. Female and male surgeons operate the machinery. Indoor. Medium. 4k00:06Diverse Team of Professional Surgeons Performing Invasive Surgery on a Patient in the Hospital Operating Room. Surgeons Use and other Instruments. 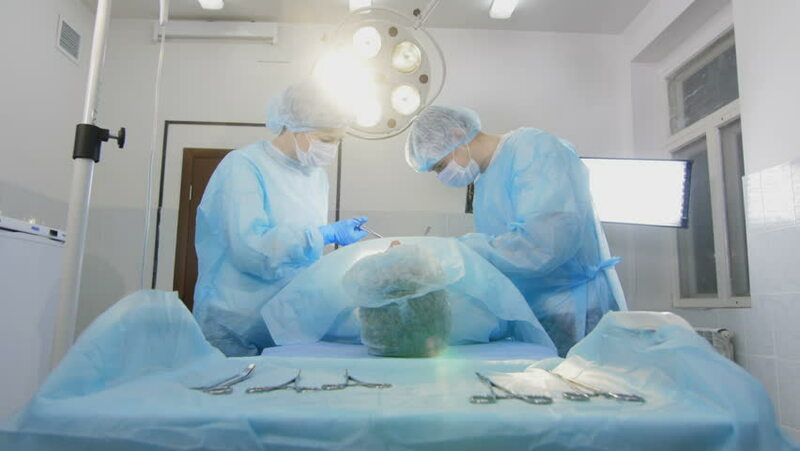 hd00:44In an operation room a surgeon and a nurse are making manipulations with patient. Glide shoot. Close-up of a surgeon hands.